This home is situated on a waterfront lot with beautiful views. 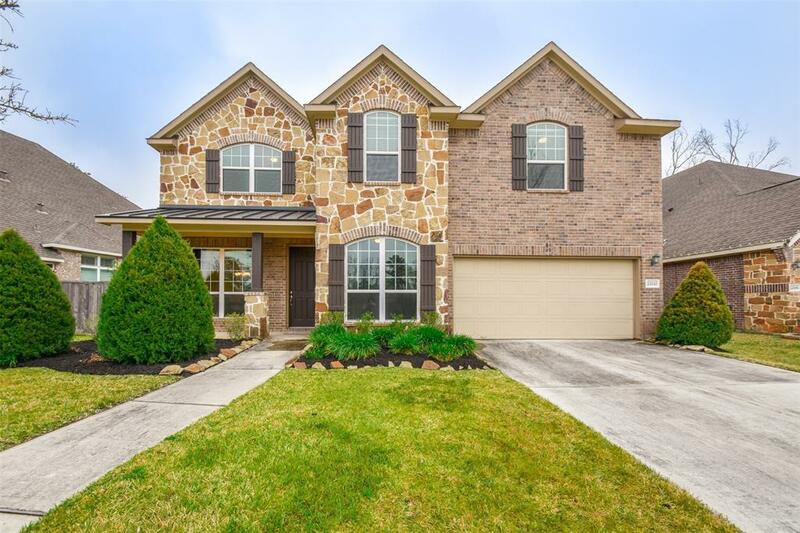 This home features 4 bedrooms, study, gameroom, and media room. Hardwood floors are in the entryway, living area, and study. The kitchen features a large island with granite countertops, pendant lighting, recessed lighting, tile floors, stainless steel appliances and beautiful dark cabinetry with under cabinet lighting. The media room includes a projector and a 100 inch screen. 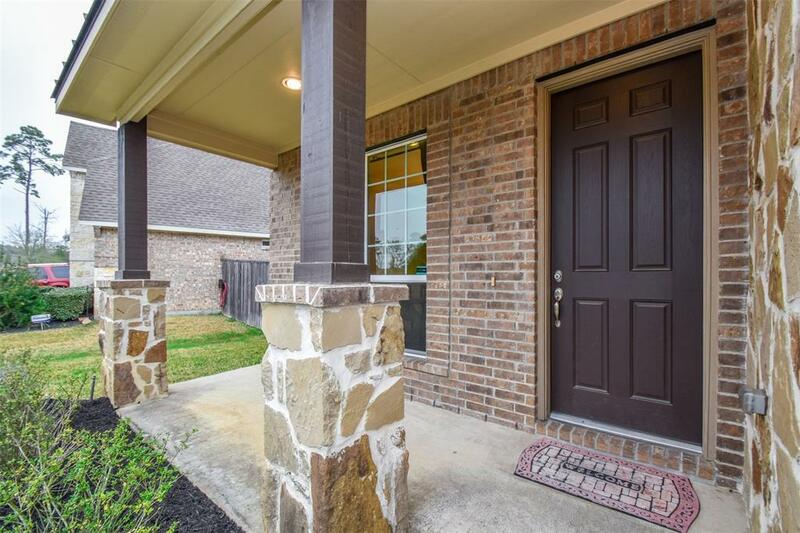 Sawmill Ranch community has amazing pools, splashpads, lakes, walking trails and recreation center. 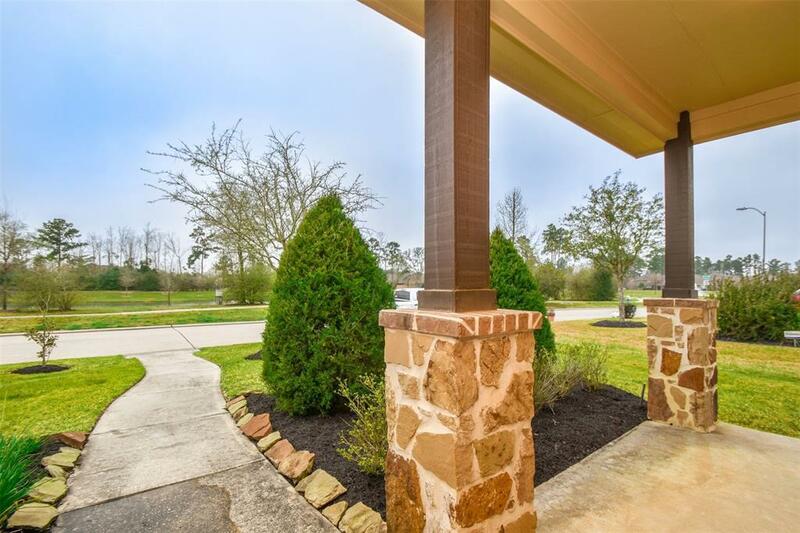 The community is close to the Grand Parkway which puts you very close to The Woodlands and I-45. 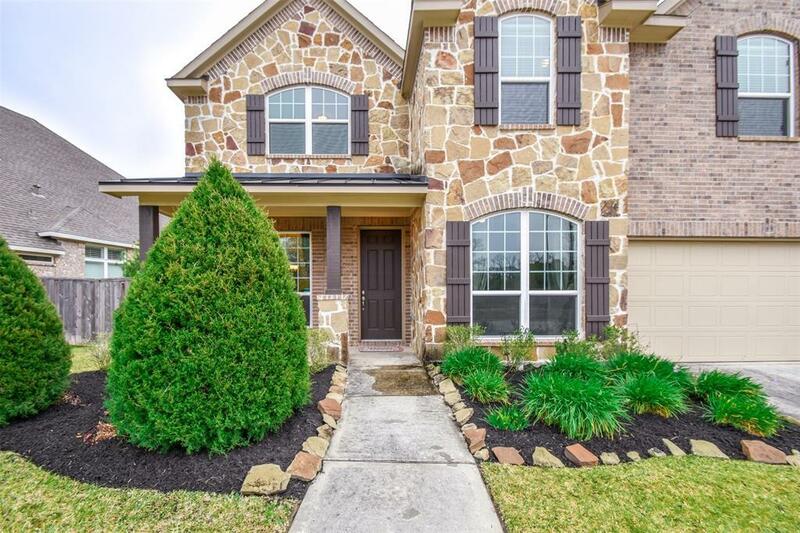 You don't want to miss this house, so schedule your showing today!